What goes better on a hot summer day than kids and water? Nothing! It's the perfect combination! A water environment stimulates the imagination and keeps children active while providing tons of laughter and fun. BDI Play Designs can provide a variety of features to create your perfect splash pad or water park, customized distinctly for your community! Designed and manufactured primarily of steel components, our splash pads are environmentally conscious and budget friendly. We know that just as every child is unique, so is every community. Finding just the right components to make a splash in your neighborhood is what we do best!. Talk to your BDI Play Designs representative about designing a water park that works perfectly for you! Rugged water toys and water-park equipment are designed and manufactured strictly from composite and specialty plastics and limited metal components which provide a lifetime guarantee against corrosion and are much lighter than steel. With so many options available, you can just feel the excitement! 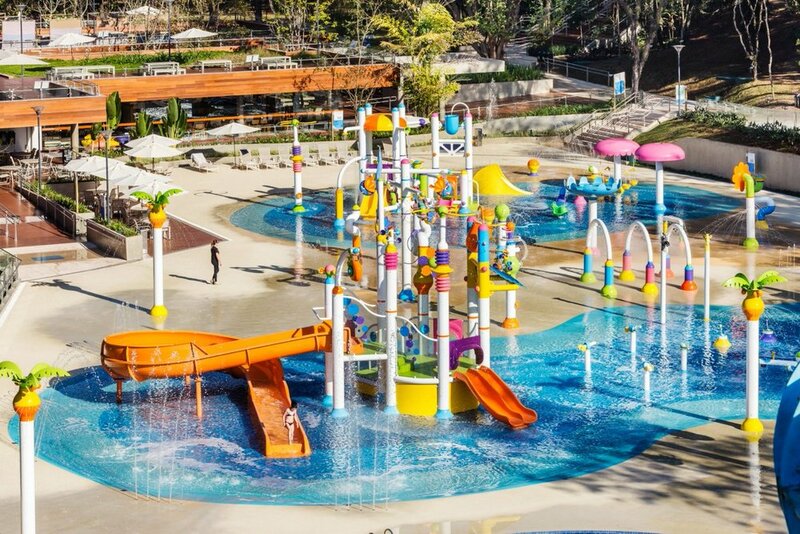 If you are thinking about 'taking the plunge', talk to your BDI Play Designs representative about designing a water park that works perfectly right for you!